Rethink your relationship with food. Naturally Sunkissed (NatSun) Farm is owned by Brett and Megan Hines, a husband and wife duo who are full-time schoolteachers with a passion for sustainable agriculture and producing our own food. We have been growing produce and raising livestock since 2014. We utilize a small-scale minimal till annual vegetable field, a small fruit orchard, and a perennial area of strawberries, hops, and asparagus, all of which are grown using organic practices. 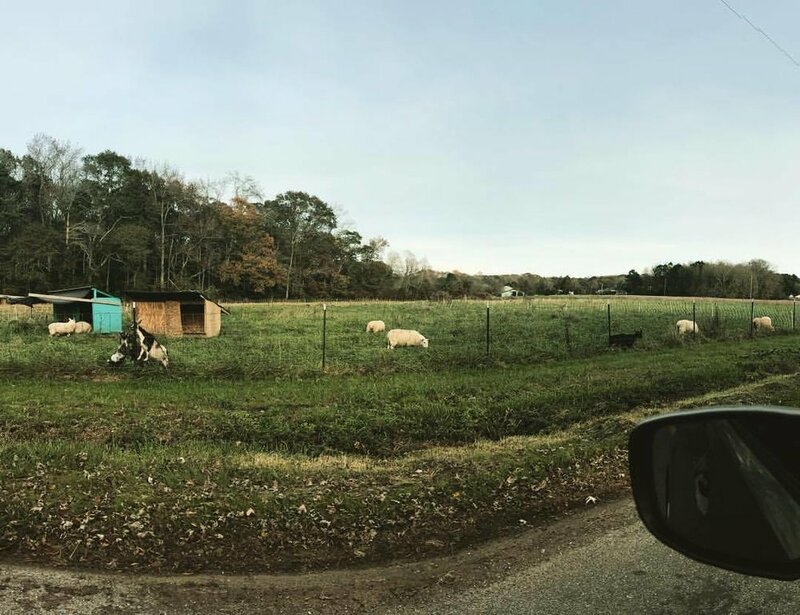 We raise grass-fed North Country Cheviot sheep, a dual-purpose breed, Kune Kune pigs, and dairy Nigerian Dwarf goats on an intensively managed rotational pasture. We grow our food for our own family consumption. This website is meant to provide education on the matter of a young couple trying to produce their own food by taking care of the land to reduce their carbon footprint. It's spring- that means we have LOTS of greens, root veggies, and some other favorites. Greens include lettuces, spinach, arugula, and asian greens like mizuna and tatsoi. Roots include beets, carrots, radishes, bunching onions, and hakeuri turnips. Late spring we will also have shelling and snap peas, broccoli, and kale. No, this is private residence and all food produced is for personal consumption. No, this is a private residence. Please, no visitors. Any other vegetables you have in your fridge- we like to use snap peas, water chestnuts, bamboo shoots, or whatever else you want! 1. Rinse vegetables, and cut to size. For bok choy, you just need to cut at the base of the stem to make individual leaves. 3. Add greens- bok choy, mizuna, and tatsoi. Replace lid on pan and cook for an additional 1-2 minutes, until greens are just wilted. Be careful to not overcook! 4. Remove from heat. Squeeze lime juice over top. Serve over cooked rice noodles or as a side dish. Enjoy!